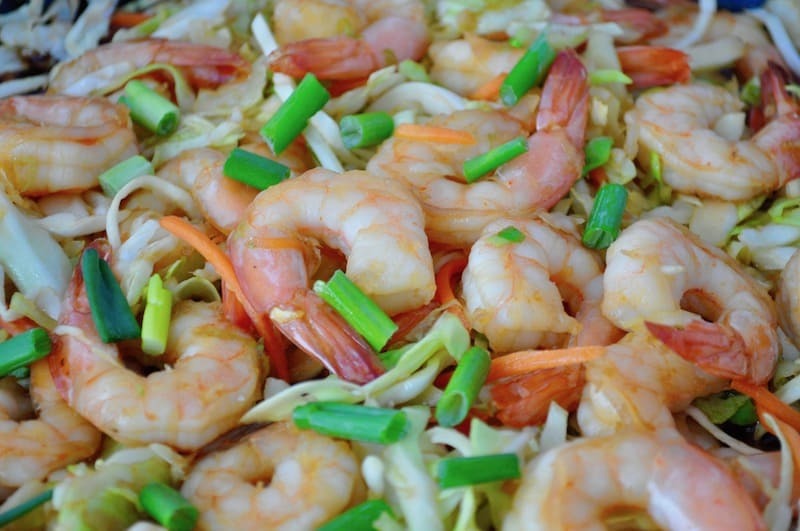 This recipe for Ginger Garlic Shrimp Stir Fry was sponsored by Ling Ling, all opinions are my own. Have you ever celebrated Chinese New Year? We usually host a big party with all our friends and have everyone bring a dish they love to make. This year Chinese New Year falls just after Valentine’s Day and after 2 consecutive birthdays. We are going to be partied out this year but we’ll make time to celebrate, just in a smaller way. 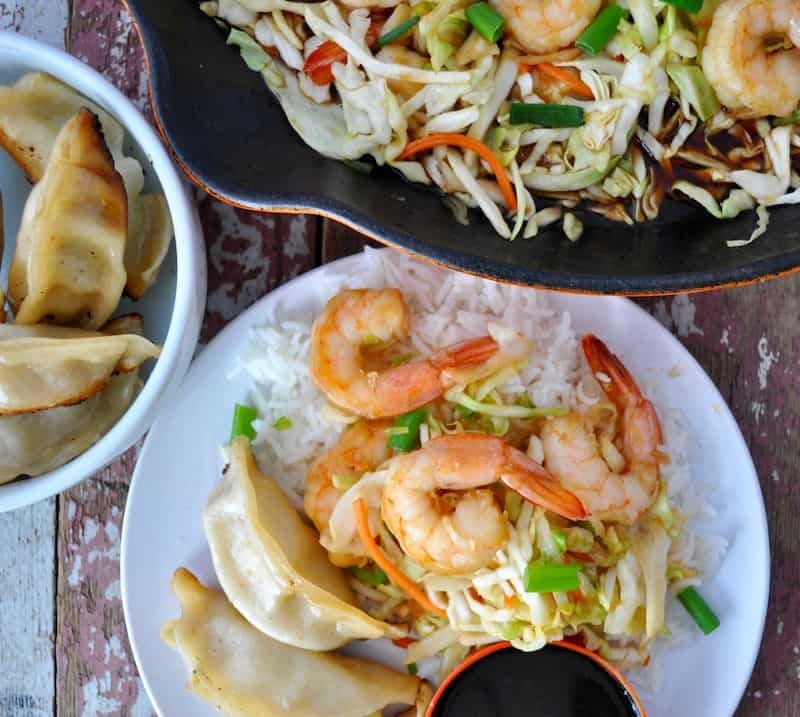 We’ll be enjoying this recipe easy to make Ginger Garlic Shrimp Stir Fry along with Ling Ling Potstickers and rice. It will be a simple celebration this year but as usual we’ll eat well. Our family typically celebrates Chinese New Year by cleaning our house top to bottom before the party but we never sweep, just in case we sweep our good luck right out the door. We also give out tangerines or small oranges to guests as this is said to help solidify our relationships over the years. There are so many fun customs for Chinese New Year, we don’t follow them all, we just pick a few. My boys particularly like this one, “don’t wash your hair or you’ll wash the luck right out” and they don’t mind following it either. 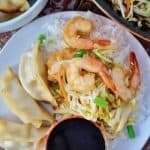 Pair them with this recipe for Ginger Garlic Shrimp Stir Fry and you’ll have a meal that comes together quickly but tastes like you spent hours. 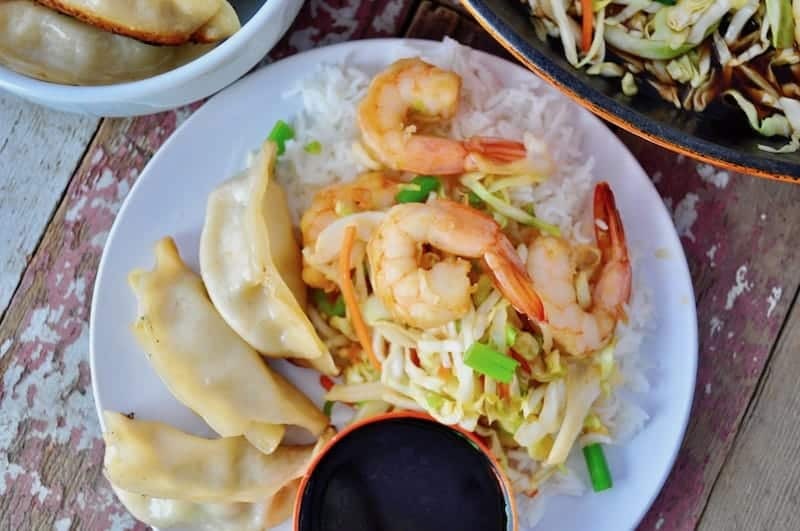 You simply saute peeled shrimp, then cook your sauce and let it thicken, and at the last minute stir in a bag of coleslaw mix. Stir a couple of times and serve it over hot cooked rice. So easy and tasty! Great way to have take-out at home! Those potstickers look yummy! Looks like a yummy weeknight meal for sure! Pinned! Yum! This looks super tasty! I love making take-out dishes like this at home. 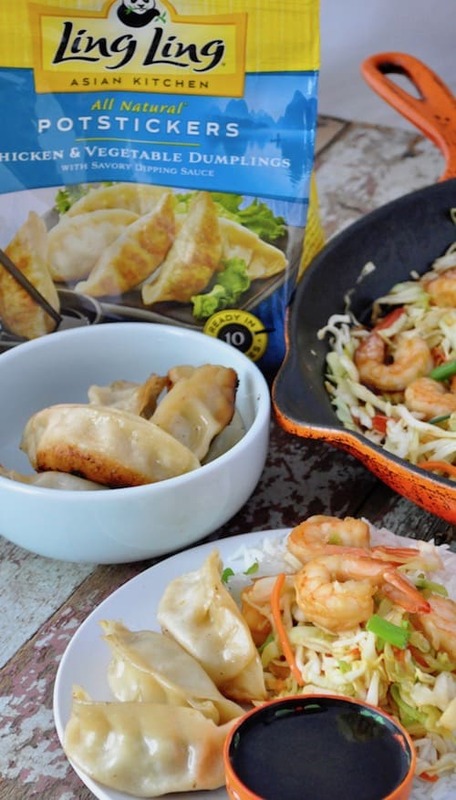 We love pot stickers or any type of dumpling. 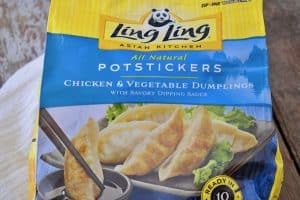 I’m not sure if I’ve tried Ling Ling ones, but they sure look delicious. That looks so good! I can see this landing on our dinner table very soon! So fresh and easy! Thanks!